Washington, D.C. – Earlier today, two hospitals, including a children’s hospital, and the Central Blood Bank in eastern Aleppo City were reportedly hit by 10 barrel bombs, killing more than 19 people, including children, and injuring many. In the past five days, there have been 13 attacks on medical facilities across northern Syria – that’s one attack every 9 hours. Six of these attacks targeted SAMS-supported facilities in the countrysides of Aleppo, Idlib, and Hama. At least nine medical personnel, including three doctors, were injured over the course of the weekend, and 5 civilians were killed. Khaled Abu Ibrahim, an ambulance driver was killed by an airstrike in eastern Aleppo earlier this morning. This is an unprecedented volume of attacks on healthcare facilities. The deliberate targeting of medical facilities and personnel has become the new normal in Syria, with 54 incidents in the past three months, 19 of which occurred in November alone. The 138 attacks since July– occurring at the rate of one attack per day– have been perpetrated by the Syrian government and its ally, Russia. Half of the hospitals targeted this weekend suspended operations, with some reporting major destruction to their facilities and equipment. Additionally, at least five ambulances were destroyed. 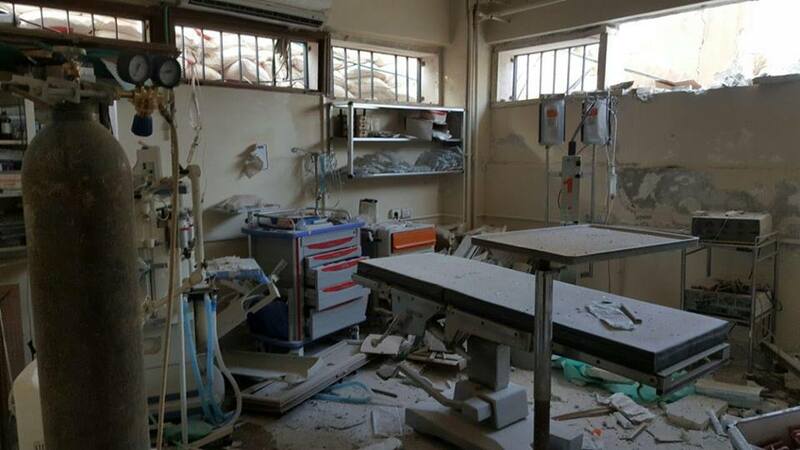 A SAMS-supported hospital in the western Aleppo countryside reported that the hospital incurred destruction beyond immediate repair. Most of the attacks were reportedly by air-to-surface missiles. Another two aerial attacks in the Idlib countryside reportedly involved the use of cluster bombs, which are internationally outlawed yet have been used across Syria with impunity. 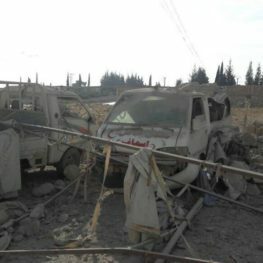 “The failure of the international community to hold the perpetrators of these attacks accountable sends a dangerous message: that there are no lines, no limits, and no boundaries to the atrocities that are being committed against the Syrian people,” said SAMS’s President, Dr. Ahmad Tarakji. 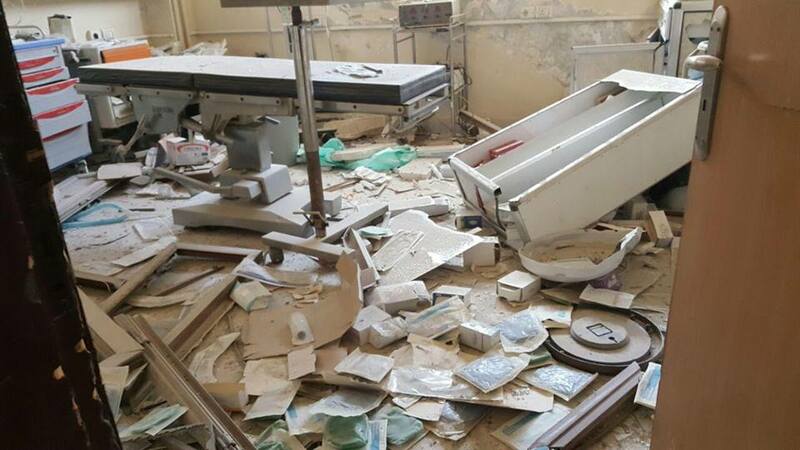 SAMS calls on the UN Security Council, as well as the International Criminal Court or an independent international tribunal, to investigate these vicious and ongoing attacks on healthcare throughout Syria. These attacks constitute war crimes, and must be formally treated as such. SAMS calls on human rights organizations around the world to step forward and investigate these ongoing attacks on healthcare facilities and is prepared to provide any help and information necessary to aid in investigations. For media requests, please contact SAMS’s Media and Communications Manager, Lobna Hassairi at [email protected].